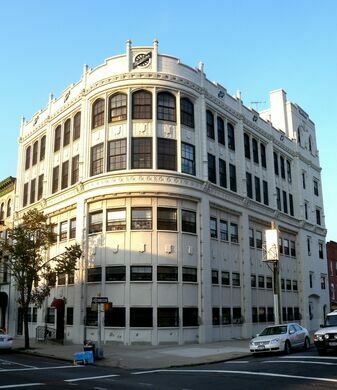 This neo-Gothic former auto showroom is one of the few remaining reminders of Brooklyn's "Automobile Row." In the early 1900s, a section of Brooklyn’s Bedford Avenue, between Empire Boulevard and Atlantic Avenue, was known as “Automobile Row,” so named for its clustering of showrooms, dealerships, garages and other businesses catering to American car owners. The Studebaker building, a striking early 20th century auto showroom, harkens back to the golden age of the American automobile industry. 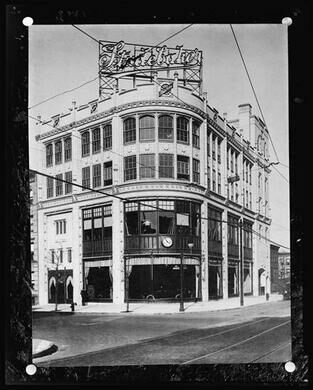 Built in 1920 by Tooker and Marsh, the building served as a two-story Studebaker showroom for almost 20 years. The Atlantic Terra-Cotta Company supplied the iconic white terra-cotta that decorates the entire edifice, which still maintains a visible neo-Gothic aesthetic. 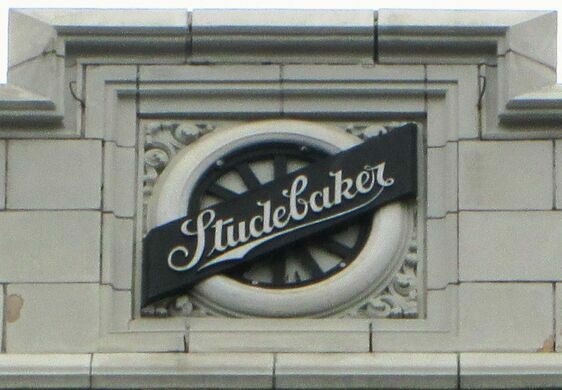 The building once stood with a giant electric sign advertising the Studebaker name and still bears the Studebaker emblem above its highest windows. With rapid expansion of the Studebaker Corporation — from its humble origins as a wagon supplier in South Bend Indiana in the 1850s, to a manufacturer of gasoline-powered touring cars in the early decades of the 20th century — came a need to elegantly display the Studebaker product to the American public. In 1920, the corporation opened its showroom on Bedford Avenue in Brooklyn’s Crown Heights neighborhood. It is reported that Studebaker stopped showing cars here in 1939, and in 1941 architect Irving Cohen oversaw a major cosmetic upgrade to the building, removing the plate glass windows from the streetfront and making alterations to the first and second floors and the mezzanine. A few years later, what had once been a prominent auto showroom had become a collection of a dress shop, furniture showroom and offices. Bought by a developer in 1999, the old Studebaker showroom stands today as a residential building of 27 apartments, and has been granted landmark status. Underground vaults of a former brewery beneath Brooklyn's Crown Heights are now used to ripen cheese. A Brooklyn exhibit all about Nancy Kerrigan and Tonya Harding in 1994.